Rapunzel, Hobie, and Penelope. Rapunzel's 10th Anniversary. Wallpaper and background images in the Barbie Movies club tagged: barbie as rapunzel. 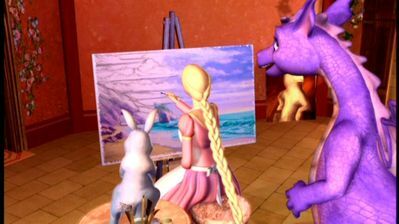 Rapunzel is an awesome painter!